Located in the space previously known as Taos Cantina along highway 89A, the new 89Agave underwent a complete overhaul to offer a new and vibrant experience for guests. The complete restaurant renovation included kitchen upgrades, new windows and doors, and a state of the art bar. 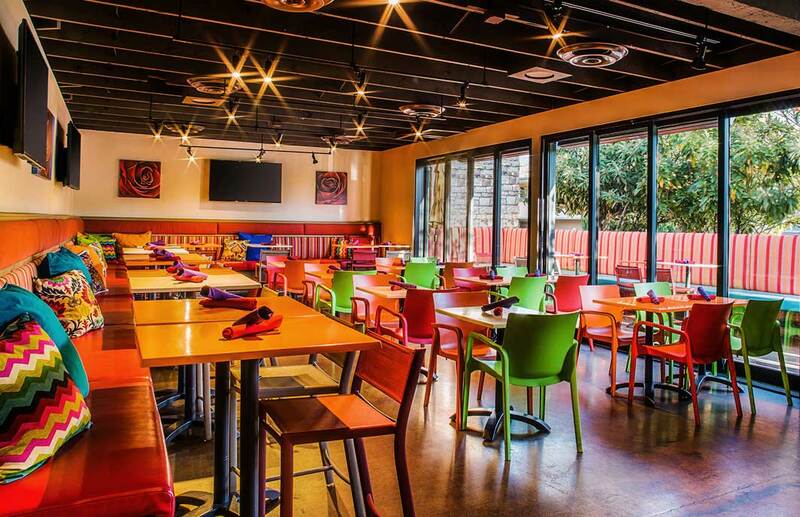 The restaurant design is vivid, colorful, and energetic, generating a warm ambiance, nostalgic of guests’ favorite south of the border establishments. A copper clad bar showcases an industrial display of diverse, specialty Tequila offerings. Colorful, brick enhanced walls are intercepted by chalkboards where guests can scribe live reviews of their visit. Hanging star-pierced tin light fixtures adorn the ceilings, while boldly patterned fabric booths set with vivid table settings and chairs liven the bar area. The opening of 89Agave coincides with the renovation of neighboring L’Auberge de Sedona’s restaurant offerings, also managed by TynanGroup.